Buried within a Variety story about Billy Crystal joining Which Witch is news that The Jim Henson Company is developing sequels to Labyrinth and The Dark Crystal, along with Fraggle Rock: The Movie and another feature film based on the Emmett Otter character. However, a new story from Entertainment Weekly released shortly after that first news claims that the Labyrinth sequel is not actually in active development. A source for The Jim Henson Company says that The Dark Crystal sequel and the Fraggle Rock: The Movie are currently being worked on, but there are no plans to, "reboot, revive, or make a sequel" to Labyrinth any time soon. The source described the "legacy title" as something that surfaces during most meetings, but nothing is currently in the works, despite Variety's contrasting report. Fraggle Rock: The Movie has been in development for quite some time, with The Jim Henson Company partnering with New Regency. As for The Dark Crystal, we reported in 2005 that The Jim Henson Company was developing a sequel entitled Power of the Dark Crystal. The story is set several years after the original, where heroes Jen and Kira are now king and queen, and must fight to save their kingdom again after the crystal is split. No details were given regarding the The Dark Crystal sequels, and it isn't known if there are any writers or directors attached to each prospective project at this time. Labyrinth debuted in 1986, which marked one of the first major roles for a young Jennifer Connelly. The story centers on a young Sarah (Jennifer Connelly), who accidentally wishes her brother away to the Goblin King (David Bowie). To get him back, she must undergo a Labyrinth of challenges within 13 hours. The Dark Crystal follows a young Gelfing who goes on a quest to find the missing shard of a crystal to save his world. The late Jim Henson directed both Labyrinth and The Dark Crystal. 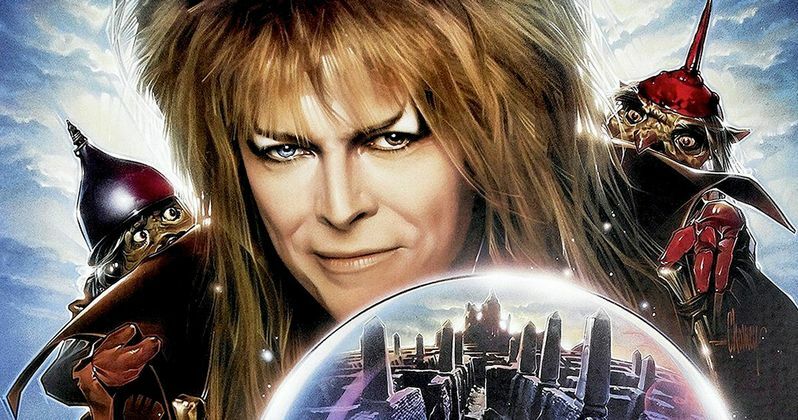 Are you disappointed that a sequel to Labyrinth isn't happening? Chime in with your thoughts below.